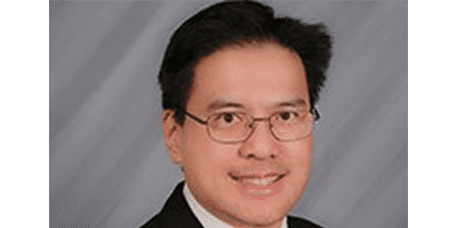 General Dentistry Specialist - Torrance, CA: Eugene Y. Yang, DDS: General & Cosmetic Dentist: Eugene Y. Yang, DDS, INC.
General dentistry involves the essential, front-line dental care that promotes and protects optimal oral health. In the same way that you see your primary care physician for annual physicals and routine health needs, your general dentist is your primary oral health care provider, or the one who provides regular cleanings and treats problems before they progress. At Eugene Y. Yang, DDS, INC. in Torrance, California, Dr. Eugene Y. Yang offers a complete menu of general dentistry services to patients in the South Bay area. If you have any general dental needs, call the office or book your appointment online today. General dentistry includes preventive oral care as well as comprehensive care — including evaluation, diagnosis, and treatment — for diseases or conditions that affect any part of your mouth, jaw, neck, face, and head. Although you may think general dentistry only refers to everyday services like cavity prevention and treatment, general dentists also provide services designed to restore oral function and appearance, including crowns, bridges, implant restorations, and dentures. General dentists are also often the first health care providers to spot more serious oral or maxillofacial problems, including the early signs of oral cancer. For most patients, annual or biannual dental cleanings and exams form the foundation of preventive general dental care and excellent oral health. It’s during these appointments that Dr. Yang can diagnose and treat cavities, spot gum disease, and take care of other problems before they progress. Dr. Yang prescribes night guards for patients whose teeth are worn down from nighttime grinding, or for patients affected by painful temporomandibular joint disorders, also called TMJ. A porcelain crown, also known as a cap, is a custom-fitted artificial tooth used to strengthen or restore normal appearance to a tooth that’s severely worn, cracked, weak, or discolored. This removable dental appliance is designed to replace missing teeth. Dentures are often the best option for patients who’ve lost all or most of their teeth, either from advanced gum disease or severe tooth decay. Complete dentures replace a full set of top or bottom teeth, while partial dentures only replace a few missing teeth. Seeing Dr. Yang for regular cleanings provides several important benefits. It helps ensure that you won’t develop cavities, and that your own dental hygiene skills are up to par. Because professional cleanings remove plaque and tartar, having routine cleanings also means you’re less likely to develop gum disease, a major cause of tooth loss among older adults.